Prior to the Christian period of fasting, called Lent, carnivals are celebrated throughout Mexico in preparation for this holy period. Some of the festivals, depending on the region where it is celebrated, can be compared to the Mardi Gras or Carnaval which takes place in New Orleans and Brazil respectively. However, there are certain areas where the celebrations take on a more cultural aspect. The largest festivals are held in Veracruz and Mazatlan. Since the dates for Ash Wednesday, which is the start of Lent, vary from one year to the next, it is important to check the exact dates of the carnival you wish to attend. If you are looking for a city with a bustle and buzz, you should visit Veracruz, which is located on the Gulf coast of Mexico. It is an exciting port city, which has an interesting history. Veracruz springs to life during the carnival period, with fireworks being let off, huge amounts of different types of foods are available, people dancing and participating in the parades. The carnival often includes performances by well-known musical artists. 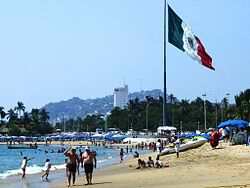 Mazatlan can be found on the northern Pacific coast of Mexico, within the state of Sinaloa. It is a very active seaport and a beautiful resort town. Some of the events during the carnival period include fireworks, music, art exhibitions, costume parades, beauty pageants and a host of other celebrations. This event started more than a century ago and has become one of the largest celebratory events globally. Hundreds of thousands of people attend this event annually. During the latter part of the 17th Century, this city was used as a port. The residents placed walls around it in an attempt to avoid the regular pirate attacks it suffered. It has since become one of the most well-preserved colonial cities within Mexico and has been declared a World Heritage Site. The city hosts the oldest Carnival celebration in Mexico. 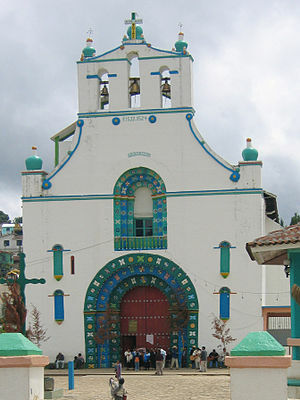 It combines traditions with modern Carnival festivities. Cozumel Island is situated atop the old Mayan coral reef structures, east of the Yucatan Peninsula. It has been hailed as one of the top scuba diving destinations in Mexico, but also hosts one of the country’s most popular carnival events. The area comes to life during the carnival period, with music and color everywhere. The celebrations include rumba dancers, bullfighters, Harlequins and Spaniards, among other festivities. Ensenada is located only 70 miles south of Tijuana, in Baja California. It plays host to the northernmost festival. Its festivities include street dancing, a variety of parades, grand balls, masquerade parties and a range of carnival games. This is a small town located in Puebla State. It has played host to a very unique celebration, which commenced in the 1800s. The participants in the carnival dress up in elaborate, exotic costumes and replay some of the traditional events which are of importance in the local history. These events include the battle of 1862 which took place between Mexican and French troops in Puebla, as well as the first marriage ceremony performed according to Catholicism. Merida is the capital of Yucatan State and can be found in the north-west of the region. It offers visitors beautiful colonial structures and a cultural life which is filled with vibrancy. Its Carnival lasts for a week and includes dancing, music and various parades. For those with families, this festival is ideal as it offers activities to keep all ages happy and amused. This area offers visitors a different celebration to the other states. Carnival is celebrated according to the pre-Hispanic times. The days of the carnival are linked to the ‘lost’ days linked to the Mesoamerican calendar. The Mesoamerican calendar is a solar cycle of the calendar, which had named days numbering 360 and five with no name. During the days of the festival, celebrants run along the streets holding flaming branches as a re-enactment of Chiapan military battles. They also perform traditional dances synonymous with the area. This area’s carnival traditions come from the 17th Century. During that time, people of Spanish origin owned the agricultural farms of the state and large parties were held by them, to which none of the workers were invited. In response to this snub, the workers used to have their own celebrations. During their celebrations, they would dress up as Europeans and made a mockery of their dances and the costumes they wore. As can be seen, there are several areas that offer interesting and fun carnivals prior to Lent. Planning to visit one of these events requires planning regarding accommodation. This planning should include the acquisition of all the required paperwork for your trip to Mexico, such as your passport, vehicle documents and Mexican auto insurance. Many people plan their trips meticulously and fail to obtain Mexican car insurance as they assume that their current US or Canadian car insurance will offer them coverage in Mexico. This is not the case as your current vehicle insurance is not valid in Mexico. To start your search for Mexican vehicle insurance, you should ask your current insurance provider if they offer it. If they do not, it is quite easy and cost-effective to buy it online. You can also buy it at the border, but this is not recommended as it is normally more expensive and you will not have the option or the time to consider exactly what your needs are. You can save on your Mexican insurance costs by buying it from this MexInsuranceStore.com link. The importance of obtaining Mexican auto insurance cannot be emphasized sufficiently as the lack thereof could result in you having to spend some time in a jail cell, should you be involved in a vehicle accident. Though you can buy items down South into Mexico while on long vacation, it would be ideal if you are driving to tow a small trailer with basic necessities so that you don’t have to buy them again in Mexico. This keeps your budget down. Travel safe by having Mexican auto insurance for both your car and trailer. Tijuana is a great place for art lovers. There are plenty of artifacts, gifts and souvenirs that you can bring back home to reward your loved ones. Though, as you drive looking for the best, don’t forget to have Mexican auto insurance cover for your car to avoid unnecessary hiccups. It is advisable that if you are using a vehicle that is not your own in Mexico to fully insure it with a quality Mexico insurance policy. This will save you from incurring cumbersome damages should you cause an accident. While you are not yet familiar with Mexico and the laws on the road, one thing is sure for your protection: Mexican insurance. You go with the speed and distance and you need car insurance to keep you from being apprehended by authorities. Veracruz is my target destination for my next visit to Mexico. When I get there, I’ll also try to see other places like Campeche. I can do this because I have my Mexican insurance with me. Mexico is indeed a nice place that anyone who’s been there thinks of finding a home to live in this country. There are different good events being held in Ensenada every year. With that, tourists and travelers always have the chance to see the beautiful place and explore it. If you want to travel in Mexico, car insurance outside this country won’t travel across the border for you. Always have your smartphone with you. Save contact persons you can connect with when things take place.